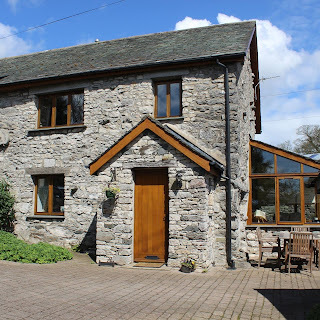 The Hayloft offers beautiful holiday accommodation in the stunning Cartmel Peninsula, south of the English Lake District. 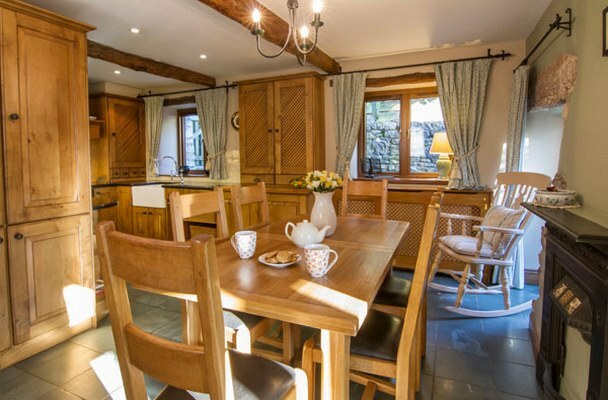 You can enjoy this ‘Country Living’ home, perfect for romantic retreats or family gatherings. A former centuries-old Lakeland barn, The Hayloft beautifully blends original beams and limestone with modern oak, slate and high-quality furnishings. Every comfort is provided for a memorable stay. The Hayloft features an upstairs galleried lounge with SMART TV & DVD and views towards Morecambe Bay from charming window seats. The slate-roofed, centrally-heated garden room acts as a second lounge, adjacent to the open-plan dining area and bespoke oak kitchen, well equipped with Bosch appliances and equipment for the keen cook.